Finding just the right spot for your next social or business gathering takes special planning. Rock Bottom Restaurant & Brewery can provide your group a casual experience in a comfortable entertaining atmosphere with a variety of unique food and ambiance possibilities. 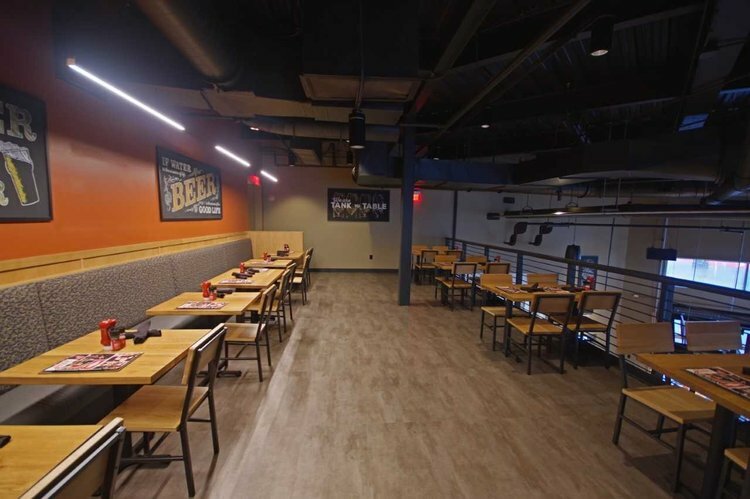 All designed around a working brewery, Rock Bottom Daytona offers semi-private and private dining accommodations. Located on the second floor, the ISB Room has seating for up to 50 guests for a plated dinner or 70 for a buffet and is perfect for a sit down meal or small cocktail style reception. This space comes with one TV with AV HDMI hookups for your company logo, slideshow, or presentation. 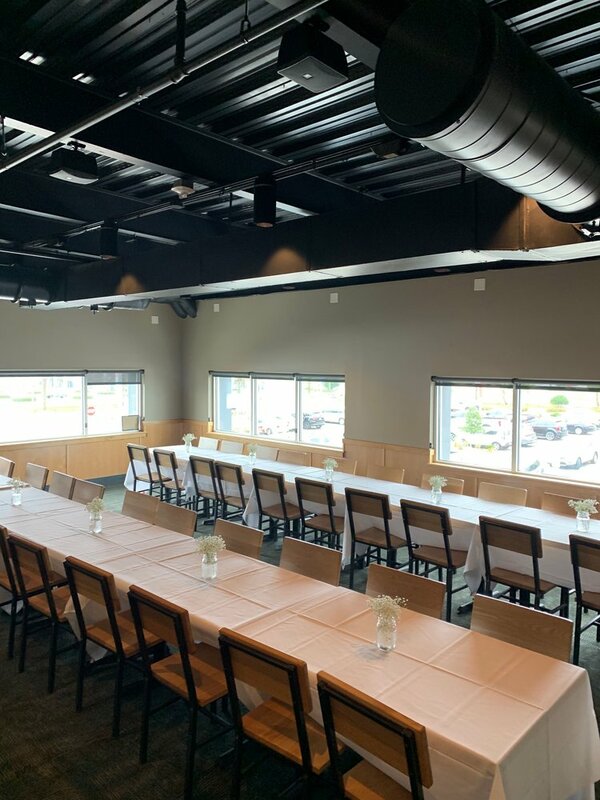 With views of the Speedway and a private bar, this private space is perfect for all gatherings and events. A semi-private space just off on our second floor, the Mezzanine can seat up to 40 people for a plated meal or for a buffet. Overlooking the brewery and main floor. Located on our third floor, the Rooftop is a private space. Able to accommodate up to 175 guests the Rooftop is the perfect combination of dining and fun! 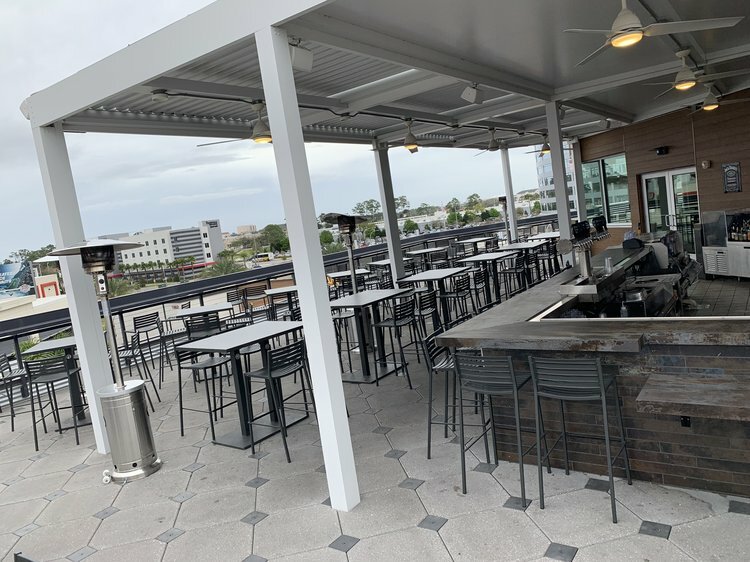 With a private bar and beautiful views of Daytona International Speedway. Facing the One Daytona courtyard our front patio allows 50 people seated or 70 people standing. 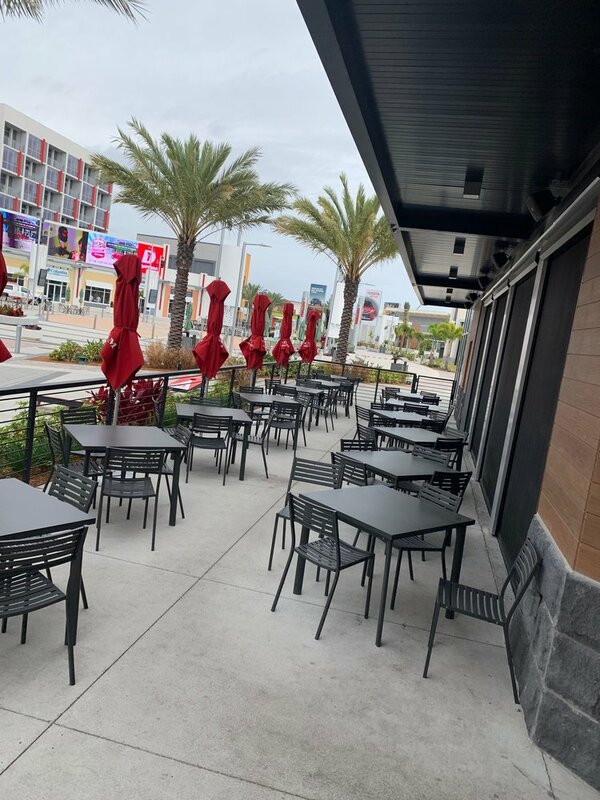 Located across the street from Daytona International Speedway, Rock Bottom Brewery features only in-house brewed beers and a pub themed kitchen. The whole Brewery has a maximum capacity of 600 guests. The interior of our restaurant consists of the three levels. On the first the cocktail area, the main dining room, and outdoor patio. On the second level the ISB private room and Mezzanine overlooking the first floor. Our third level is the rooftop bar overlooking the speedway. All spaces consist of informal mingling areas and seated dining space. Giving your guests plenty of options for entertainment as well as space to relax and talk. We can do multiple buffet lines or create beer and food pairing stations to create movement throughout the brewery and ensure every client gets exactly the event they envisioned. The Chefs can customize a menu that works with any taste and need. We can incorporate brew tours into your event here at Rock Bottom. Your guests can meet the brewer, sample a beer and tour the brew house. Do you have additional questions or are you ready to book? Or use the Request an Event option below.